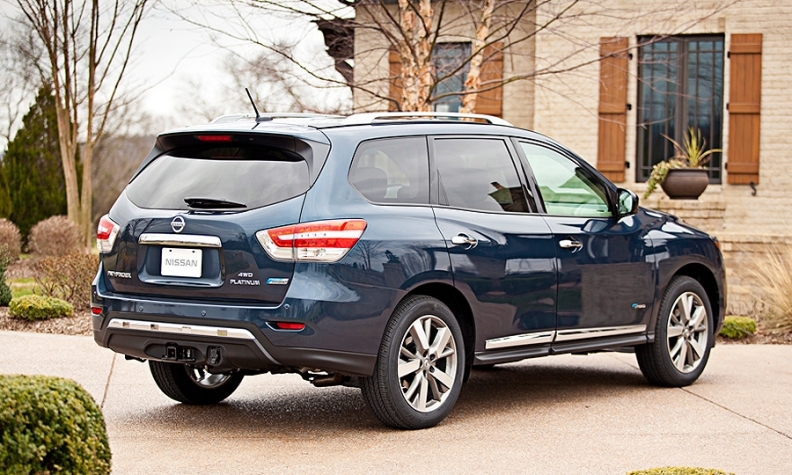 The Pathfinder hybrid was introduced for the 2014 model year when the crossover was overhauled. NASHVILLE -- Nissan Motor Co. has killed the hybrid version of its Pathfinder crossover as consumers look increasingly to traditional crossovers, SUVs and pickups. The model lasted just more than one year -- from October 2013 until January this year, when Nissan stopped producing it in the face of falling U.S. gasoline prices. The automaker has been selling off existing inventories since then, and it will not return as a 2016, Nissan spokesman Dan Bedore said. The twin version of the vehicle -- the Infiniti QX60 Hybrid -- remains in production at Nissan's Smyrna, Tenn., assembly plant and will be offered as a 2016 model. Most output is exported to world markets, an Infiniti spokesman said. "The hybrid was never a big part of Pathfinder sales," Bedore said. "Our emphasis has been on the traditionally powered Pathfinder." The product portfolio change will mean little to Nissan's U.S. sales volume, which rose 13 percent last month over June 2014. U.S. sales of the Pathfinder totaled 7,168 in June, also a 13 percent increase from a year earlier. The decision to drop the hybrid comes as U.S. consumers return to truck and SUV segments with a zeal not seen since before the 2007 economic crash. As customers became more concerned about fuel economy and gasoline prices in the last decade, one automaker after another introduced hybrid versions of popular models. Bedore says deleting the Pathfinder Hybrid does not signal a lack of interest in hybrid technology. Nissan is rumored to be planning a hybrid version of the smaller Rogue crossover, which Bedore declined to discuss. "Hybrids make a lot of sense in other applications," he said. "But not this particular one."